Trash the top 3 cards of your stack, then shuffle 3 cards from your heap into your stack. Draw 1 card. 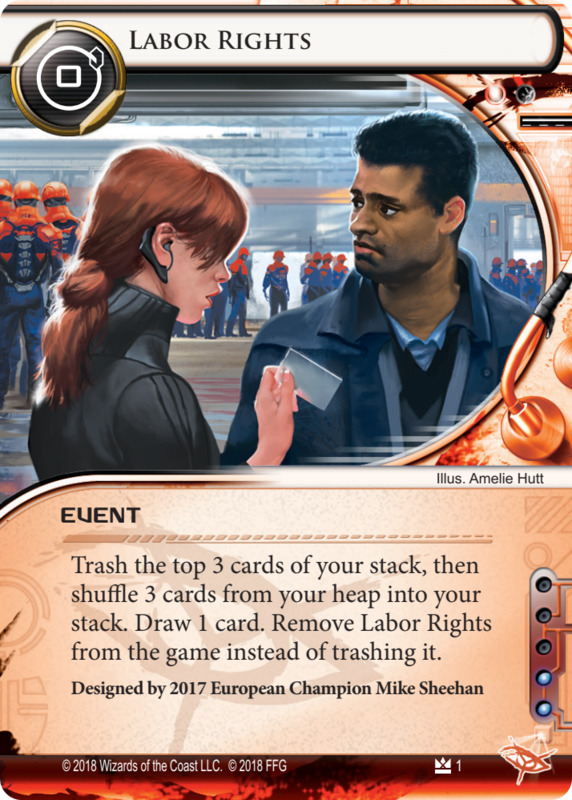 Remove Labor Rights from the game instead of trashing it.